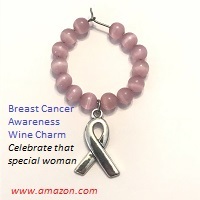 My post went “live” on i Go Pink: The Breast Cancer Charities of America this week! i Go Pink sent me a beauty bag filled with makeup and other makeup related items while I was receiving chemotherapy. Please read my post below! The Anchor has meant many things to me throughout various points in my life. In college, I joined a sorority and our symbol was the Anchor. The Anchor was adopted by Delta Gamma in 1877 and stands for the age-old symbol of HOPE. I was diagnosed with breast cancer at the age of 36. I focused my energy on spreading HOPE and remaining positive throughout my cancer journey by starting a blog called Anchored In Hope. Writing posts on my blog was a way for me to express myself and communicate to my support system. I was very fortunate to have such a strong support system that showered me with love and friendship throughout my treatment, and I wanted to be able to give that to others! Cancer is disease that nobody wants to experience in their lifetime. Everybody knows somebody that has been affected by cancer. When YOU are the person diagnosed with cancer your outlook on life changes FOREVER. I received my baseline mammogram and cancer diagnosis shortly after my close friend and college roommate was diagnosed with breast cancer at the same age. On Groundhog Day, February 2, 2017, my obstetrician-gynecologist told me the three words that you never want to hear “You have cancer.” My husband and I just sat there in dismay. I began to cry but not because I had just been diagnosed with breast cancer. I cried because I wanted to be a mom so badly. My husband and I were trying to start a family and had been so far unsuccessful. Earlier, I had two miscarriages and found out that I had endometriosis. And now I knew that cancer treatments could result in infertility. Telling my mom that I was diagnosed with breast cancer was one of the hardest things that I have ever had to do. She went to multiple appointments with me for further testing when I was told that my mammogram was abnormal, so when I told her I had breast cancer, she was not totally caught off guard. There is not a handbook created that tells you how to handle your cancer diagnosis or how to tell people. You must do what you feel comfortable with. My dog, Maverick, could sense that something was wrong with me. It amazes me how intuitive he is. My husband took this picture the day I received my breast cancer diagnosis. I went to many doctors and received many opinions regarding my treatment plan. I believed that the more information I received would help me choose the best treatment plan for me. Treatment plans are not “one size fits all”. My friend’s treatment plan was different than mine, even though we were going to the same facility to receive treatment. We leaned on each other throughout our treatments which made our friendship stronger. Hi Jen. I am sure your blog has helped many women. I always looked forward to reading it to hear how you are doing. After hearing about Cancer Care Organization from your blog, I called them and was put on the list to be a volunteer to help others. I had to cancel the initial meeting because I still had one more surgery to face, and they want people that have completed all treatment 100%. I will have to call them back now. I had my last surgery in April of this year (I think it was number 8 but I lost count). All but the first two ( bi-lateral mastectomy and a preservation surgery 2 weeks prior to that) were reconstruction surgeries. All is well with me, but I am still recuperating from all the surgeries. I become tired easily and love my rest time. I just read your earlier blog about …it’s OK not be OK and don’t expect things to be the same as before. You are right – once you have experienced something like this and have been told those 3 words, your world is not the same. I seriously do love the smaller things in life (as corny as that sounds) and I just don’t let things upset me much. My outlook has made me a more relaxed person. I hope your dream to become a mom someday comes true. I will say prayers for that blessing. Take Care and stay anchored! Thanks for your work on this blog. Thank you, Nancy! I hope that my blog is helpful for all that read it. I write from my heart and for personal experiences, as you know! I am glad that you can relate to my posts. I am glad that you are going to volunteer for CanCare, they will be lucky to have you. I would like to volunteer, but the women’s group keeps me busy along with work. You are a great writer. Sharing your personal experiences with such a positive outlook will help so many others. We love you! Thank you, Amy! I enjoy writing, when I have time…💗 ya! Thank you! I really enjoyed writing this post and was very therapeutic for me to put my thought down on paper (the computer). I hope that all is going well. 💗 you too and hope to see you sometime soon! Jen, thinking of you and praying for you often. 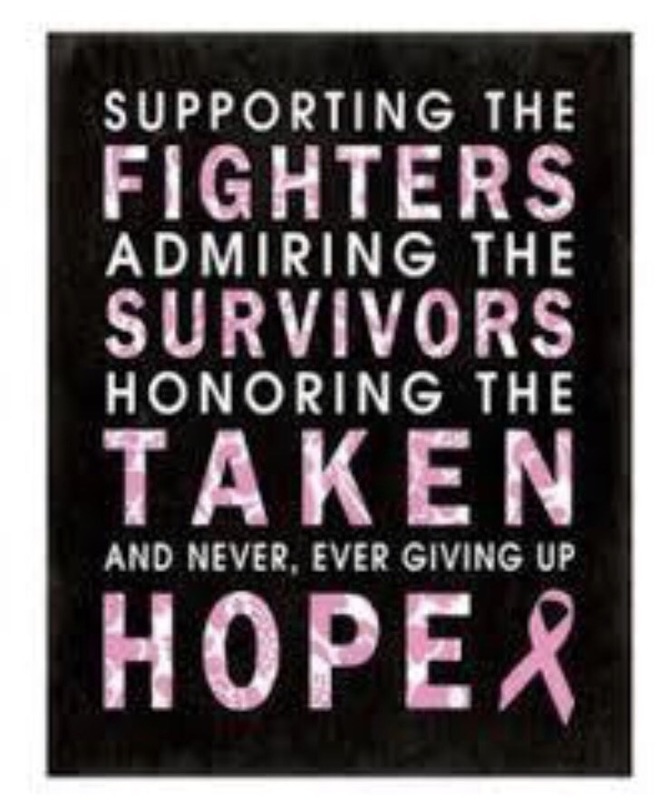 It doesn’t take just this month to bring to mind all of my friends and family members that have been diagnosed with breast cancer, but it does highlight it. It still amazes me that there are so many that have been affected by this disease. You are a very special person. Thank you for sharing your journey. I know God has a plan for you and I pray that it brings all the things that you desire. Thank you for your kind words! Yes, it is important to focus on early intervention not only in the month of October, but ALL year long!